Surgeons are now demanding much more than simple illumination from their operating theatre lighting. State-of-the-art surgical lighting must offer advanced performance that eliminates shadows and provides true colour rendering, which is so vital in determining the condition of patients. It must also deliver light without the heat that is both uncomfortable for the staff and a threat to patient safety, and solutions must be low maintenance and energy efficient. These very-precise needs mean that over the past few years there has been a shift within the lighting market with that launch of dedicated new surgical ranges. 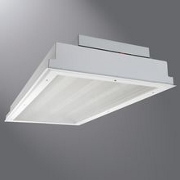 Glamox Luco has a range of clean room luminaires which have a high efficiency rating and, as monitors are often at hand, will help to prevent glare. On top of this, the dust, pollen, bacteria and viruses in the air are not be deposited in or onto the lights or distributed around the theatre. While it is often left to individual hospital trusts to choose their favoured lighting solution, the NHS Purchasing and Supply Agency’s Centre for Evidence-Based Purchasing released a buyer’s guide in 2010. 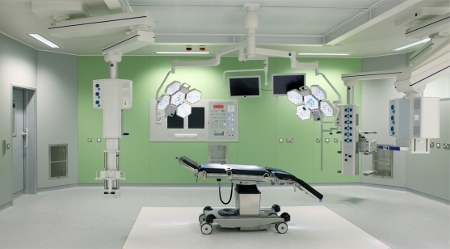 It stated: “The operating theatre environment requires a combination of satisfactory ambient lighting and effective direct and indirect task lighting. The ability to adjust these lighting levels and change their characteristics will enable theatre staff to be more effective. Studies have suggested that 25% of surgical time is spent adjusting lights, with one minute of operating time costing, on average, £15. For a 60-minute operation, this means £225 is spent adjusting lighting. The three main considerations are adjustability, brightness and control. The guide states that the closer an operating theatre light ‘CRI value’ is to 100, the better its ability to render true colours to the human eye. This helps surgeons to recognise details better in the area of the wound and to distinguish between tissue colours and arterial or venous blood. The NHS has also published Health Building Note (HBN) 26: Facilities for Surgical Procedures. It states that lighting should be ceiling mounted, not directly overhead as a patient who is awake of lightly sedated cannot avoid the glare. If fitted, lighting should be two-directional and dimmable without flicker. These documents have helped to drive next-generation lighting systems. Among these is Steris’s new XLED solution, distributed exclusively in Britain and Ireland by Bender UK. XLED rethinks current surgical lighting concepts with a design offering up to 160,000 Lux and delivering the ideal intensity and quantity of light for each application, including endoscopic procedures. The modular system offers a choice of one, two, three or four spots to meet every surgical need. Each array of 20 LEDs is configured to optimise the laminar flow of light, producing patterns perfectly arranged to remove shadows, ensure excellent colour rendering, and maintain even illumination, eliminating the rainbow effects that can lead to visual fatigue. The exclusive design, with its fluid and open shape, also optimises the laminar flow output from ultra clean-air canopies, further contributing to patient safety. Bender UK has installed the system within the orthopaedic implant theatre at Furness General Hospital in Cumbria, and in two new state-of-the-art laparoscopic theatres at Good Hope Hospital in Sutton Coldfield. As well as making surgery easier for medics, the latest lighting designs need to meet the most-stringent demands for infection prevention and control. Brandon Medical has become a leading player in this field, having been highly commended in the Best Product for Enhancing Infection Prevention category at the 2014 Building Better Healthcare Awards for its Quasar eLite operating theatre light. The system offers near-perfect colour rendition, balanced arm systems for ease of movement, and uses HD-LED technology which emits a brilliant cold light to reduce heat generation. Brandon also offers a range of mobile operating theatre lights, which can be moved around the patient and between rooms. Unique features, a result of feedback from surgeons, include a ‘Comfort Halo’ which alleviates eye strain by casting an intermediate field of light between the intensely-lit central illuminated field and the general operating theatre lighting. But it is for its infection-fighting qualities that the product was singled out by the BBH judges. 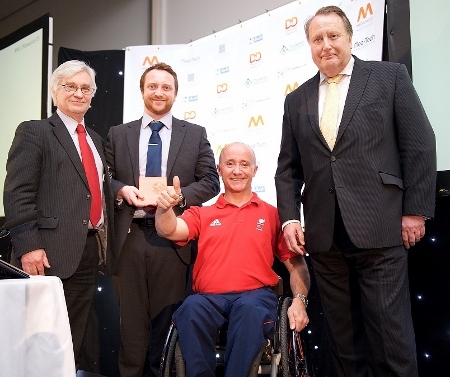 Quasar eLite also won the HGF Innovation Award at the 2014 Medilink Awards. Designed and built in Britain by a consortium of the UK’s finest surgeons, engineers and infection control specialists, the system it is easy to clean with a sealed light head, remote controls, and anti-microbial coatings. The system is being used in a number of hospitals including Great Ormond Street Children’s Hospital and the new £95m Kent Institute of Medicine & Surgery (KIMS). And Cooper Industries has installed its MOR and ORM lighting ranges in theatres across the country. These recessed lighting ranges enable precise control of light to the surgical task and surrounding areas, allowing multi-level lighting without changing the character of lighting distribution.